Rampur is considered as third school of poetry after Delhi and Lucknow. Many prominent and legendary Urdu poets of the time like ‘Dagh’, ‘Ghalib’ and ‘Ameer Minaee’ joined the patronage of Rampur court. Nawabs of Rampur were very fond of poetry and other fine arts. They provided remunerations to the poets who were associated with ‘ darbar.’ Nizam Rampuri earned great name as poet. In addition, Shad Aarifi was another famous poet from Rampur who evolved modern ghazal in a very distinct style. Presently, International Poets ‘Shahzada Gulrez’, ‘Abdul Wahab Sukhan’, Tahir Faraz’ represent Rampur School of poetry all over the world. 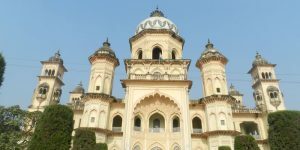 The Rulers of Rampur have had distinct impact on the architecture of the region. The buildings and monuments signify the presence of Mughal type architecture. Some of the buildings are very old and have been built over repeatedly in course of time. One of the most well designed monument is the Fort of Rampur(). It also houses the Raza Library or Hamid Manzil, the former palace of the Rulers. It has a sizable collection of Oriental manuscripts. The fort also houses the Imambara. 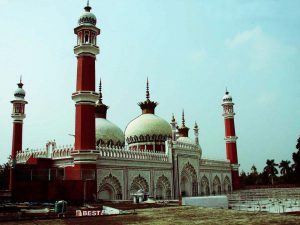 The Jama Masjid is one of the finest piece of architecture to be found in Rampur. It resembles the jama masjid in Delhi to some extent and has a beautiful interior. It was built by Nawab Faizullah Khan. It has a unique mughal touch to it. There are several entry-exit gates to the masjid. It has three big domes and four tall minarets with gold pinnacles boasting of a royal touch. It has a main lofty entrance gate that has an inbuilt clock tower occupied by a big clock that was imported from Britain. There are several entry-exit gates built by the Nawab. These gates are major entry-exit routes from the city. 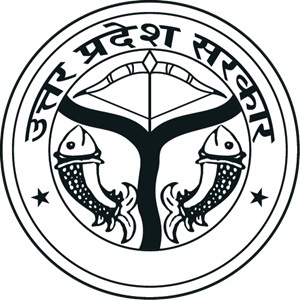 Examples are Shahbad Gate, Nawab Gate, Bilaspur Gate etc. The Rampur-Sahaswan gharana of Hindustani classical music also has its origins in court musicians. Ustad Mehboob Khan, was a khayal singer and Veena player of the Rampur court; his son Ustad Inayat Hussain Khan (1849–1919), who was trained and lived in the city, founded the gharana.